Sewage Cleanup. Free Estimates. 24/7 Service. Of all the various types of damage your property can sustain water damage is the most common. Some form of water damage affects 98% of property owners at some point in their lives. Water can penetrate into structural cavities, creating pockets of saturation that can cause ongoing damage and encourage the growth of mold, mildew, and fungi. At a minimum, Water damage causes odors, but it can also cause greater damage as certain surfaces and materials can swell, shrink, split, discolor, or delaminate. All of this can happen regardless of the quality of the water. If clean drinking water could still turn your home into a saturated mess, how much worse would the situation be if the water seeping into your home or business qualified as Category 3, or “black water” or, more simply, sewage? Category 3 water is considered highly contaminated and unsafe to be around. Category 3 water can come from a variety of sources: sewage from an overflowing toilet or bad plumbing, rising flood water from streams and rivers, and even ground surface water. More than just removing excess water, the IICRC certified restorers at DryAgain Water, Mold and Fire Restoration Services have the knowledge and experience to dry and restore your facility back to its original pre-loss condition. Any surface that comes into contact with contaminated water is potentially hazardous, especially those porous surfaces like wood, certain laminates, or even ceramic tile can catch and hold dangerous biohazardous agents. Though it may be tempting to splash some bleach on these surfaces and call it good, any surface that has been exposed to Category 3 water should be thoroughly decontaminated by a professional at DryAgain Water, Mold and Fire Restoration Services to make sure that no threat remains. Improperly handled sewage spills can lead to serious health risks, especially for the elderly, small children, and those with compromised immune systems. Sewage can contain a variety of disease-causing bacteria, fungi, viruses, and parasites. Anyone who treats Category 3 sewage contamination is required to have updated vaccinations, including one for Hepatitis B. Any situation where the water source is unknown, or suspected of a Category 3 contamination should be considered extremely hazardous and should not be approached by anyone who has not been properly trained. Proper equipment is also important. At DryAgain Water, Mold and Fire Restoration Services, all of our remediation team members have been trained and educated in the use of state-of-the-art equipment, not to mention our combined decades of experience in dealing with this particular hazard. Even a small sewage overflow can be difficult for an untrained person to properly decontaminate. Any situation where Category 3 contamination is an issue should be handled by a professional, to ensure your safety, and the safety of your family, friends, pets, and employees. Whether your sewage backup is the result of a malfunctioning toilet, backflow failure or leaking pipes, it can cause major damage to your home or business, seeping into floors and walls, carpeting and furniture. The result can be extremely unpleasant, not to mention damaging, to anything it comes in contact with. Bacteria, parasites, mold, and even viruses can linger in walls and crevices. This can be difficult to detect without the proper equipment. At DryAgain Water, Mold and Fire Restoration Services, our team is trained to use the latest equipment, as well as time-honored techniques, in order to make the right call concerning the safety and cleanliness of your property. Our technicians have the experience and training to determine what class and category your problem consists of, and we will form a restoration plan that has been tailored to your particular situation, based on those individualized factors. We will always choose the course of action most appropriate to your situation in order to ensure maximum restoration. Returning your property to its original pre-loss condition is our top priority. In addition to contamination concerns involving biohazardous materials, any situation involving saturation by water (whatever the category) can lead to host of other problems. These problems include structural instability, buckling floors, peeling or bubbling plaster, discoloration, and the musty, nasty odor of mold. Once it gets a foothold, mold can be a serious problem, causing health hazards as spores fill the air. 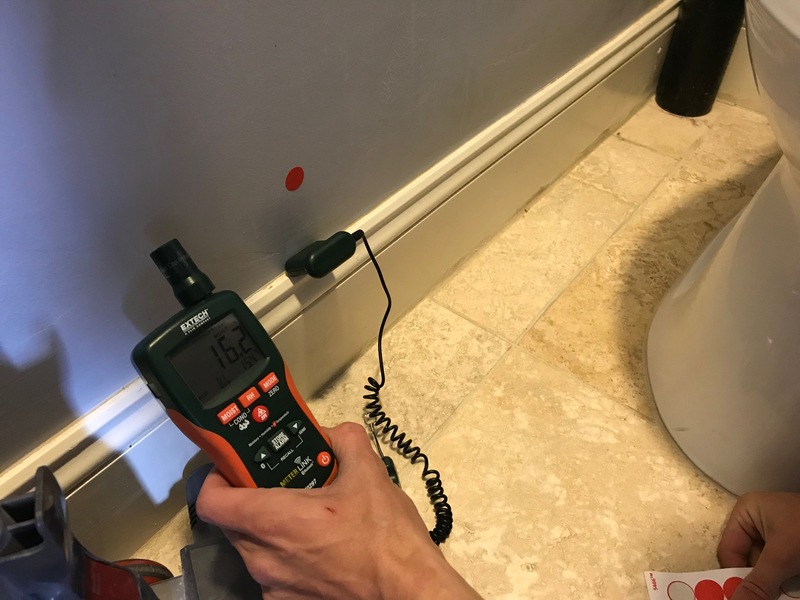 Mold can grow in any environment where the humidity reaches 45%, and it can grow in as little as 48 hours—even in areas that were not originally affected by the incident. That is not a lot of time. No matter how embarrassing the situation might seem, the professionals at DryAgain Water, Mold and Fire Restoration Services have seen it all. The sooner you call us, the sooner we can help you reclaim the contaminated area and put this whole messy business behind you. There is no job that is too big or too small for the experts at DryAgain Water, Mold and Fire Restoration Services. Our service professionals are all highly trained, continually educated, and licensed—including IICRC certification. That means that we have made the investment in our team, our equipment, and in the future of your home or business. At DryAgain Water, Mold and Fire Restoration Services we have combined decades of experience dealing with many different types of restoration, and we know how they can combine to make a seemingly hopeless task of clean up and restoration. Leave it to us. We can even work together with your insurance adjustors to reduce your out-of-pocket costs, whatever the circumstances. The best advice we have for you is: don’t wait! Contact the experts at DryAgain Water, Mold and Fire Restoration Services at the first sign of water damage. The severity of the problem increases hourly, and every wasted moment risks the value of your property. At DryAgain Water, Mold and Fire Restoration Services we are here to help you 24 hours a day, 7 days a week. 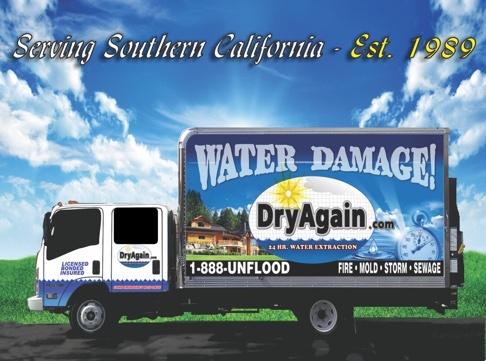 Don’t wait, call (909) 337-7900 or email trevor@dryagain.com now for your free, no obligation estimate.